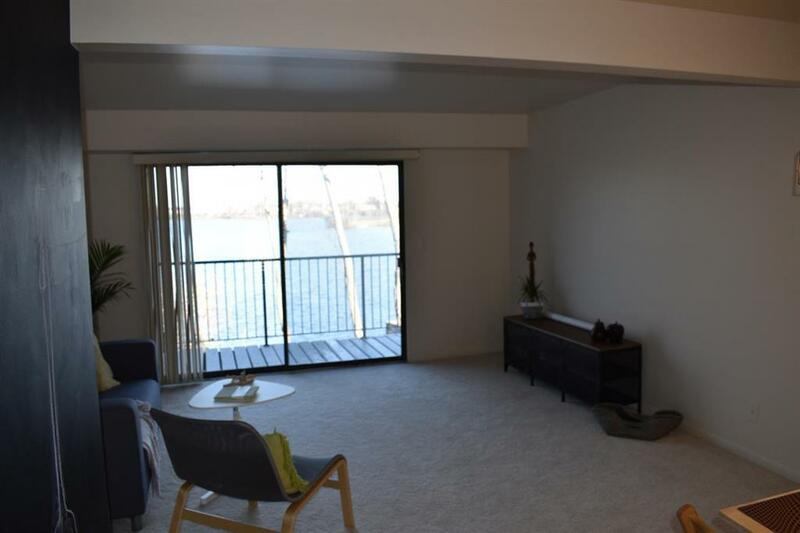 Spacious,clean, and newly renovated 2 bdrm 1.5 bath 2 story waterfront condo with stunning views of Ford Lake. All sports lakefront living. Open floor plan, large windows. Updated kitchen and bathrooms. Newer carpeting. Washer and dryer in the unit. Move in condition, with some furniture included. 1 assigned covered carport. Condo complex features pool, tennis courts, common deck and gazebo areas overlooking the lake. Boat docks available for lease based on availability.